Be the first to hear about their new releases and deals. Download the Booksprout app and search for Kyle Alexander Romines today! 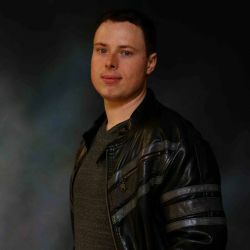 You can contact Kyle at [email protected] You can also subscribe to his author newsletter to receive email updates and FREE electronic copies of his Warden of Fál prequel short, The Path of Vengeance, AND his horror/science fiction novella, The Chrononaut, at http://eepurl.com/bsvhYP.